Does the editor exist in the 1.7.10 version? How do I set MPUtils up to do the new version notification? Is there any way to prevent players from using the in-game changelog editor? I was hoping for a config option that turned off the editor, but I couldn't find anything. Can I ask your stance on rehosting the mod on atlauncher download servers, this does NOT make it publically downloadable it's simply pulled by atlauncher launcher when someone installs the modpack. I like atlauncher, so yes you can. Thank you for asking though. 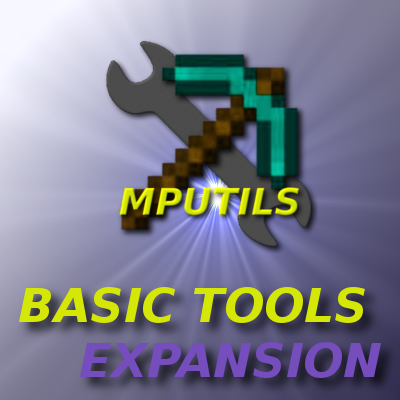 I am looking to include this mod (as well as MPUtils, of course) in a modpack (http://minecraft.curseforge.com/projects/exsistere). Is this mod's permission policy the same as that of MPUtils? yes it is.. sorry I was out of town or would have responded sooner. So only reason I have taken so long on an update is because I am currently working on a ingame bug reporting gui. hopfully it will make things easier for developers. The reporting will be sending data via json to a customization http link. I will have a simple tutorial to set up a google sheet & script to have a a free way to store all the bug reports. But this will allow you to even set up your own system of recording. did you give us a demo of this feature by setting this up with the Bug Tracker for this Mod? I'm think your slightly confused by what this does.My issue tracker auto fills out data about the computer and allows users to send a bug report via in-game button. Something has to receive the data to parse it. The mod is client side and sends to a server.. I don't provide servers so I wrote an example with Google script/spreedsheet to show ppl how to read the data and store it. You have to have something read the data. If I had a server and the money to maintain it. I would have set up a dedicated server. I wrote an example with Google script/spreedsheet to show ppl how to read the data and store it. Um...couldn't you have used a Google Script/Spreadsheet? xD just brainstorming here, but, uh, it would seem you already are knowledgeable enough to set something like that up (wonder where I got that idea? lol), and considering that the Mod you're setting it up for has a low chance of actually having some type of Bug (or at least a Valid Bug), chances are, it'd act more like a deconstructable demo piece to learn from. Working on get an update to this, with some new added features. will release more on a later date. Thanks for being patience.